The first step in the process of vision is the conversion of light into signals that can be interpreted in the brain. This takes place in the retina, which is located in the back of the eye. The retina is the sensory membrane that lines the inner surface of the back of the eyeball. It's composed of several layers, including one that contains specialized cells called photoreceptors. There are two types of photoreceptor cells in the human eye — rods and cones. Rod photoreceptors detect motion, provide black-and-white vision and function well in low light. Cones are responsible for central vision and color vision and perform best in medium and bright light. Rods are located throughout the retina; cones are concentrated in a small central area of the retina called the macula. At the center of the macula is a small depression called the fovea. The fovea contains only cone photoreceptors and is the point in the retina responsible for maximum visual acuity and color vision. In the visual cortex of the brain (which, ironically, is located in the back of the brain), these signals are converted into images and visual perceptions. Macular edema. This is an accumulation of fluid and swelling of the macula, causing distortion and blurred central vision. Macular edema has several causes, including diabetes. In some cases, swelling of the macula can occur after cataract surgery. Central serous retinopathy. This is when fluid builds up under the central retina, causing distorted vision. Though the cause of central serous retinopathy (CSR) often is unknown, it tends to affect men in their 30s to 50s more frequently than women, and stress appears to be a major risk factor. Hypertensive retinopathy. Chronic high blood pressure can damage the tiny blood vessels that nourish the retina, leading to significant vision problems. Risk factors for hypertensive retinopathy are the same as those for high blood pressure, including obesity, lack of physical activity, eating too much salt, a family history of hypertension and a stressful lifestyle. It's essential to keep your retina functioning properly to enjoy a lifetime of good eyesight. Many retina problems can be detected by your eye doctor before you notice any significant symptoms. Routine eye exams enable your eye doctor to examine your eyes for signs of macular degeneration and other serious retina problems so treatment can begin as soon as possible. If you haven't had an eye exam recently, you can find an eye doctor here. 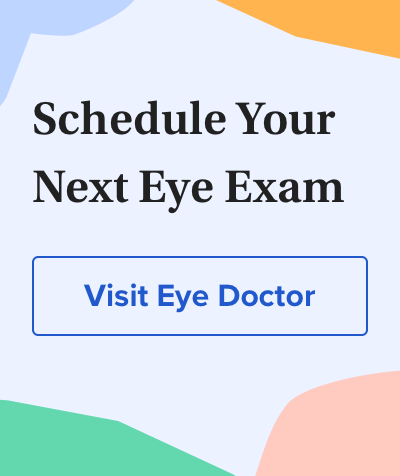 If your eye doctor discovers a retinal detachment or other serious retina problem, he or she may refer you to an ophthalmologist who is a retina specialist for surgical or medical care. Can optometrists help eliminate blindness caused by AMD? Maculogix. 2017. Remington, Lee Ann. Clinical Anatomy And Physiology Of The Visual System, 3rd Edition. Butterworth-Heinemann, 2012. Cassel GH, Billig MD, and Randall, HG. The Eye Book: A Complete Guide To Eye Disorders And Health. The Johns Hopkins University Press, 1998.